Biblical faith in Jesus isn’t just believing facts about Jesus it is also following Him. James 2:19 says, “You believe that God is one. You do well; the demons also believe, and shudder.” Although Satan probably won’t admit it, he believes in the death, burial, and resurrection of Jesus. He was there. He saw it. Too many people today have a Christmas and Easter type of faith. They believe the facts of Christ but have never committed their lives to following Him. I am a huge Mustang fan. For this reason I know all kinds of facts about men who influenced Mustangs like, Lee Iacocca, Carroll Shelby, and Steve Saleen. Yet, I have never met any of them. I have never had a personal relationship with them. I do however know Jesus, because I have committed myself to following Him. Romans 10:9 tells us, “If you confess with your mouth Jesus as Lord, and believe in your heart that God raised Him from the dead, you will be saved.” Clearly we need to believe the facts about Jesus. God did raise Him from the dead and that should be our foundation of faith. However, that alone isn’t good enough. Along with our foundation of faith we are to confess Jesus as Lord. This is our statement of faith. If Jesus is Lord over our lives we follow Him every day in every way. In the tenth chapter of Mark we find one who obviously had great respect for Jesus. 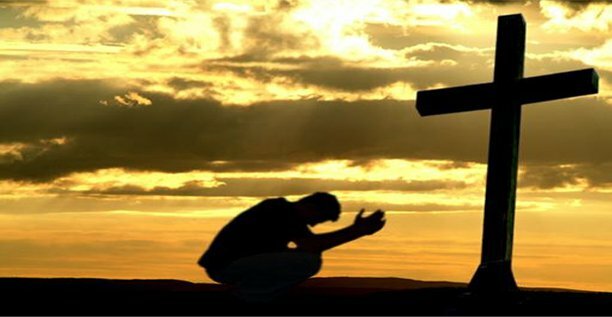 He came to Jesus knelt before Him and called Him “good teacher.” He inquired of Jesus what he needed to do to inherit eternal life. Jesus told him that he needed to keep the law. The young man quickly responded to Jesus that he has kept the law since his youth. Jesus then told him to go sell everything you own, give it to the poor, and follow me. Jesus was showing him that he hasn’t really kept the law. Although he had respect for Jesus, he was unwilling to obey Jesus and unwilling to follow Him. Many people in our world today have great respect for Jesus, yet they too are unwilling to obey Him and follow Him. Matthew 16:24 says, “Then Jesus said to His disciples, “If anyone wishes to come after Me, he must deny himself, and take up his cross and follow Me” Notice that He said “you must.” The requirement for following Jesus is denying yourself and taking up your cross. We need to remember that the cross was an instrument of death. It was the form of execution for the day. In other words Jesus is saying if we are going to follow Him we must die to self and follow Him. We need to have more than just respect for Jesus. We must have total surrender; a surrender that leads to denying ourselves and obedient service of Him. Jesus said we must. 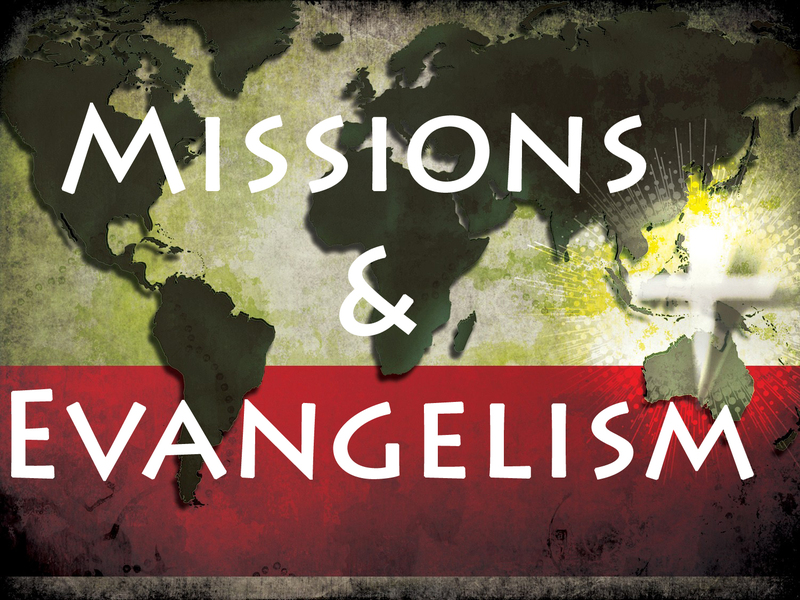 While sharing the gospel with the lost we must make it abundantly clear that if they chose to accept Christ as their savior and Lord they are entering into a lifetime commitment. We need to make it clear that this walk should impact and influence every area of their lives. We have way too many Sunday-go-to-meetin Christians in our society who don’t mind going to church on Sunday morning but won’t allow Jesus to impact their daily lives. What did Jesus mean when He said “repentance for forgiveness of sin?” When we believe on Jesus we believe on all of who He is, all of what He has done, and all of what He has taught. Jesus preached repentance of sin and holy living. True faith in Christ requires repentance from sin, for we believe what he taught. After Peter preached the first gospel message just after he was filled with the power of the Holy Spirit the crowd was pierced to the heart and asked Peter what shall we do. They wanted to know how they were to respond to the gospel. Peter said they needed to repent. (Acts 2:38). Sin hinders our relationship with God. 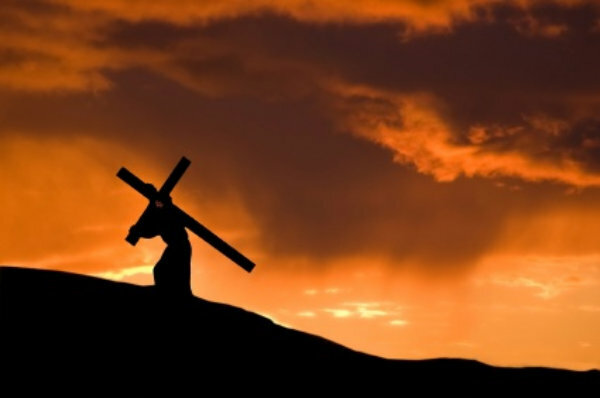 It was our sins that Jesus went to the cross to pay for. When we chose not to repent we are telling God that we are not truly interested in a relationship with Him and that we would rather live our lives our own way through our own strength and wisdom. Make no mistake people who refuse to repent refuse relationship and fellowship with God. John said in I John 1:6, “If we say that we have fellowship with Him and yet walk in the darkness, we lie and do not practice the truth.” In other words, if we say we are walking with God yet we are living in open rebellious unrepented sin we are liars. However, I John 1:6 says, “but if we walk in the Light as He Himself is in the Light, we have fellowship with one another, and the blood of Jesus His Son cleanses us from all sin.” We walk in the light when we have repented of our sin and received the cleansing power of the blood of Christ that paid for our sin. Paul went so far as to tell us not to associate with any “so-called” believer who is unrepented and living in sin. He said not to even eat with such a one. (I Corinthians 5:11). Associating with an unrepented individual only gives them a false since of salvation. If there is no repentance, there is no salvation. In the next chapter he gives a non-comprehensive list of those who will not inherit the kingdom of God. In I Corinthians 6:9-10 Paul said, “Or do you not know that the unrighteous will not inherit the kingdom of God? Do not be deceived; neither fornicators, nor idolaters, nor adulterers, nor effeminate, nor homosexuals, nor thieves, nor the covetous, nor drunkards, nor revilers, nor swindlers, will inherit the kingdom of God.” Does this mean that anyone who has ever been drunk or stolen anything will not be saved? Of course not. Paul is declaring their identity. This is who they are and how they live. This is the identifying mark of their lives. They are identified as a drunkard or a thief or whatever the life of sin is that they have not repented of. Paul went on to say in the next verse, “Such were some of you; but you were washed, but you were sanctified, but you were justified in the name of the Lord Jesus Christ and in the Spirit of our God.” Such were some of you, but not anymore, for they had repented and were washed with the blood of Christ. The Christians identity is found in Christ-not sin. Does this mean that those who slip into sin from time to time are not saved? Galatians 2:11 tells us that Paul opposed Peter to his face because he stood condemned. Peter was being a hypocrite acting one way in front of the gentiles and another way in front of the Jews. Was he condemned to hell for his hypocrisy? Of course not. Peter was very much a saved man that loved Jesus with his whole heart. He was eventually martyred for his faith. He however, slipped into sin and needed someone like Paul to help set him straight. Those who are indentified with sin due to their lack of repentance are not saved. Christians can and will slip into sin from time to time. They however, will be convicted of their sin and repent. An unsaved person however, will live in sin with absolutely no conviction or remorse and be perfectly happy it. When we share our faith with sinners we must preach repentance. A gospel proclaimed without repentance is no gospel at all. We are setting the hearer up for failure if we do not proclaim the need to repent. Not preaching repentance is as foolish as a patient going to see a doctor for a chronic cough and the doctor not wanting to pry into the patient’s personal life by telling him he needs to stop smoking and simply gives him cough syrup instead. Smoking is clearly the root of his problem, just as sin is the root of our separation from God. When preaching repentance we must do so with the love and compaction of Christ. While preaching repentance we must have a heart of love desiring the sinner to turn from his sin and trust in Jesus. God will not bless the efforts of the self righteous who simply want to condemn the sinner for his sin. We must get the log out of our eye before we can get the spec out of others. Remember, such were some of us. We once were sinners in need of salvation. Who are we to condemn others for their sins? We repented and received grace. This too should be our heart. It most certainly is Gods. For this reason out of an act of love and compassion knowing the destructive power of sin, we preach repentance. The Word of God is extraordinarily clear that we are saved simply by placing our faith in the person and works of the Lord Jesus Christ. Ephesians 2:8-9 says, “For by grace you have been saved through faith; and that not of yourselves, it is the gift of God; not as a result of works, so that no one may boast.” By faith we believe that the blood Jesus shed cleanses us from all unrighteousness, freeing us from the power of sin and death, and gives us everlasting life. 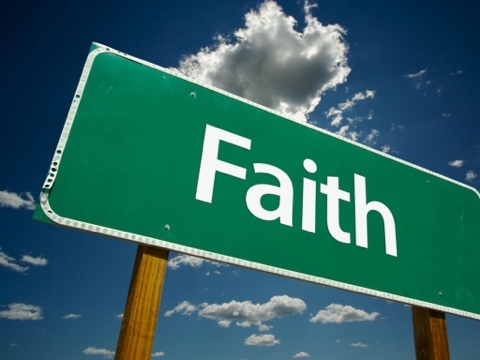 By faith we enter into relationship with God denying ourselves in pursuit of His will and His way as Lord of our lives. We walk by faith and not by site faithfully following Jesus on this earth knowing we are here but a short while awaiting eternal joy and bliss with Him and through Him. There have been some since the beginning of Christianity that have tried to add works to the grace of God. Paul told both Timothy and Titus to speak out boldly against such false teachers. Paul also told the church of Galatia in Galatians 1:8, “But even if we, or an angel from heaven, should preach to you a gospel contrary to what we have preached to you, he is to be accursed!” Anyone who adds anything to grace as a requirement for salvation falls under the category of being accrued. God takes tampering with His gospel very seriously. Even deeds of righteousness are not sufficient to save us. Titus 3:5 says, “He saved us, not on the basis of deeds which we have done in righteousness, but according to His mercy, by the washing of regeneration and renewing by the Holy Spirit.” If anyone adds any requirement for salvation above and beyond faith in Christ they are a false prophet. Even if it’s righteous deeds such as baptism, using spiritual gifts, church membership, or anything of the like. Yes, these are righteous deeds of God. However, they are intended for those who are saved; not a means to Salvation. “For God so loved the world that He gave His only begotten Son, that whoever believes in Him shall not perish, but have eternal life.” (John 3:16). Salvation by faith alone through grace alone is a fundamental truth for biblical salvation. It is what makes Christianity, Christianity. Every other religion in the world is rooted in works where people have to make their own path to God through their good works. However, the bible says that no one is good, not even one. 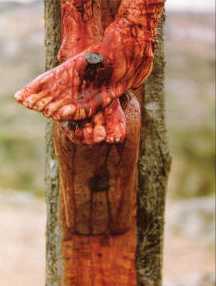 For this reason Jesus came down to this earth to pay the price for us and lead us to the Father. He and He alone is our salvation. He is our way. Only by faith in Him are we saved. When sharing our faith we need to make this abundantly clear. If we are not carful we can lead people astray into a works based mindset by telling them that they need to go to church, read their bibles, and pray, but never share the fact that they need to believe in Jesus for salvation. Yes, we tell people of the importance of going to church, of reading their bibles, and of praying. We should even encourage it. However, we let them know that this is not a means to salvation and that only faith in Christ saves us. I have seen and heard many well meaning Christians lead people astray. They come across people who are hurting and searching for a way out of the mess that their lives have become. The Christian will then says something like, “You need to start going to church,” without ever communicating the gospel. Sure, they need to come to church. However, going to church will not save them. Yes, they can get saved at church. They can also sit in church for years without accepting Christ as their Savior thinking their works of church attendance is sufficient. After all, that’s all they were told they needed to do. I believe this is the very reason many of our churches are full of unsaved people who are committed to church attendance but are not committed to Jesus. I have also seen and heard well meaning Christians lead people astray that desire to be delivered from sin. The Christian will give the advice to the sinner that they need to read their bible more or pray harder. I have even heard Christians tell sinners that they need to think positive thought when they are being tempted. The bible is clear, only the blood of Jesus can deliver us from our sin. One needs to simply believe. We are saved by faith alone. As Christians we do Christian acts, such as going to church, reading our bibles, and praying. We don’t do those things for salvation, but as a result of our salvation. Anything contrary will lead people into a false doctrine that is dangerous and deadly. We are saved by faith alone, through grace alone, period. As we look into the Word of God we see how brutal and bloody the death of Christ was. People often ask, “Was this bloody brutality truly necessary?” I think that in part God was showing us how ugly sin truly is. However, everything Jesus did in His life, death, and resurrection had meaning. Everything was preplanned and very intentional. In Genesis we see God fellowshipping with His new creation Adam and Eve in the Garden of Eden. God told them of every tree in the garden they can eat free, with the exception of the tree of the knowledge of good and evil. God said if they eat of that tree they shall surly die. (Genesis 2:16). Although Adam and Eve tried to pass the blame of their sin to another, they were still held accountable for their actions resulting in the fall of all humanity. They could not blame the serpent for their sin. They made a conscious choice, do we obey God or disobey God. Although they knew the command of God and the consequences of their disobedience they personally chose to disobey God thus they sinned. Did Adam and Eve die that day as God said they would? Yes. They died spiritually. They lost fellowship with God and were removed from the Garden of Eden and cast into a mean cruel world now corrupted by sin to labor by the sweat of their brow until the day they physically died. Sin has grave consequences. Had Adam and Eve not chosen to sin they would still be alive today. They would not have earned the wages of sin. The bible speaks of three types of death, spiritual death, physical death, and the second death which is eternal death. Paul wrote in Ephesians 2:1, “And you were dead in your trespasses and sins,” and again in Colossians 2:13, “you were dead in your transgressions and the uncircumcision of your flesh.” Paul wasn’t talking to people who were physically dead but spiritually dead. Sin separates us from God. God’s heart is to have a relationship with us. However, sin prevents us from having that relationship with Him. Separation from God is spiritual death. For this reason Jesus died for us so our sins can be forgiven and we would no longer be spiritual dead but alive in Christ and through Christ. Romans 6:23 not only tells us that the wages of sin is death but also says that the free gift of God is eternal life. Accepting the sacrificial atonement of Christ cleanses us from our sins and reconciles us into a right relationship with God. The word gospel is used ninety nine times in the NASB. The Greek word that is translated into gospel comes in two forms. It is either used as the noun eungelion that literally means good news or as the verb euangelizeo referring to the announcer of good news. The gospel or the good news is specifically about Jesus. The Angel of the Lord came to Joseph and encouraged him to not be afraid to take Mary as his wife. The Angel of the Lord said to Joseph in regards to this child Mary miraculously conceived, “She will bear a Son; and you shall call His name Jesus, for He will save His people from their sins.” (Matthew 1:21). If the message is not centered in and on Jesus and His work of redemption on the cross it is not a true Gospel. The term gospel is used with many references and descriptions in the New Testament. It is called the gospel of grace in Acts 20:24, the gospel of the kingdom in Matthew 4:23, 9:35, 24:15, the gospel of peace in Ephesians 6:15, and an eternal gospel in Revelation 14:6. However, the gospel is clearly rooted in the person and work of the Lord Jesus Christ. Mark introduced his gospel as, “the gospel of Jesus Christ, the Son of God.” Paul in his introduction of the book of Romans, which is a declaration of the gospel, calls the gospel, “the gospel of His Son.” (Romans 1:9). Paul told the church of Corinth that he declared unto them the gospel. He then went on to tell them exactly what the gospel was. He said in I Corinthians 15:3-4, “For I delivered to you as of first importance what I also received, that Christ died for our sins according to the Scriptures, and that He was buried, and that He was raised on the third day according to the Scriptures.” The work of the gospel is the death, burial, and resurrection of Jesus Christ. Paul said that this message was of first importance, meaning that it should be the priority in our lives. Apart from the death, burial, and resurrection of Jesus Christ there is no good news. Apart from the death, burial, and resurrection of Jesus all humanity would stand hopelessly lost condemned in their sins awaiting eternal damnation. The fact of the gospel is not the good news in and of itself. Just knowing the fact of the person of Jesus and the fact of the works of Jesus do not save us. The gospel becomes the good news for our lives when we allow it to have an impact on our lives through faith in who Jesus is and what He has done. Accepting Jesus Christ as Lord and Savior should change every area of our lives as we make it of first importance to us. The gospel fist impacts our lives for today. Jesus said in John 10:10, “The thief comes only to steal and kill and destroy; I came that they may have life, and have it abundantly.” When we receive Jesus as our savior He comes to live within us empowering us to live for Him allowing us to reap the benefits of a relationship with God as a child or God, a joint heir in Christ Jesus, a holy nation and a royal priesthood. Jesus gives us life today, and not ordinary life that simply exists, He gives us abundant life. Certainly no one should want to die without knowing Jesus as their Lord and Savior. They will be eternally condemned to hell if they do. However, if one were to live to be one hundred and twenty years old he shouldn’t want to live even a moment separated from the abundant life that Jesus freely offers. The fact still remains that we will not live in these fleshly vessels forever. Hebrews 9:27 says, “It is appointed for men to die once and after this comes judgment.” If we die physically without knowing Jesus as our savior we will then be judged for our sins. The punishment for our sins is eternity separated from God in hell. However, those who have accepted Jesus as their savior will not be judge for their sins. The impact of the cross has blotted out our sins and removed our sins as far as the east is from the west. Romans 6:23 says, “For the wages of sin is death, but the free gift of God is eternal life in Christ Jesus our Lord.” We will live for eternity in the paradise of heaven with the Lord. This truly is good news. A good news worthy of accepting, and a good news worthy of sharing.